It doesnt matter what your locked out of… we can get you back in! How many times have we lost our keys or locked them in our car? When it happens it usually happens at the most inconvenient time. Rest assured when you need us we will answer! Take full advantage of our 24/7 Emergency Service. If you’re locked out of your home automobile or safe call us when you needs us! G FORCE LOCK & SAFE will solve your problem. 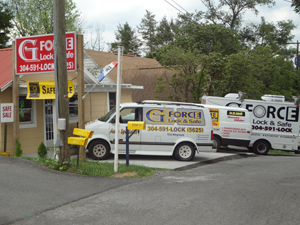 If you find yourself locked out of your home or business, call Gforce Lock and Safe and we will have you back inside in no time. Our lock picking experts are very well trained, and will perform this service both quickly, and without damaging your locks or doors. Needs Keys Cut? At Gforce Lock and Safe we can cut keys for just about any lock.